Holy Crap, Am I a Microsoft Surface Fanboy? Remember that annoying “What’s a computer?” ad Apple ran incessantly last winter? It was aggravating for a lot of reasons — that kid knew what a computer is, damn it! — but it was especially eye-rolling for anybody who has actually tried to use an iPad Pro as a full-time computer. From the funky way iOS handles file storage to the fact that the iPad Pro keyboard doesn’t have a trackpad, the iPad Pro is fantastic tablet but a poor laptop — I’d never recommend anyone use it for a full-time work machine. Since 2015, my go-to recommendation for Mac users left cold by Apple’s anemic laptop offerings has been the Surface Pro. 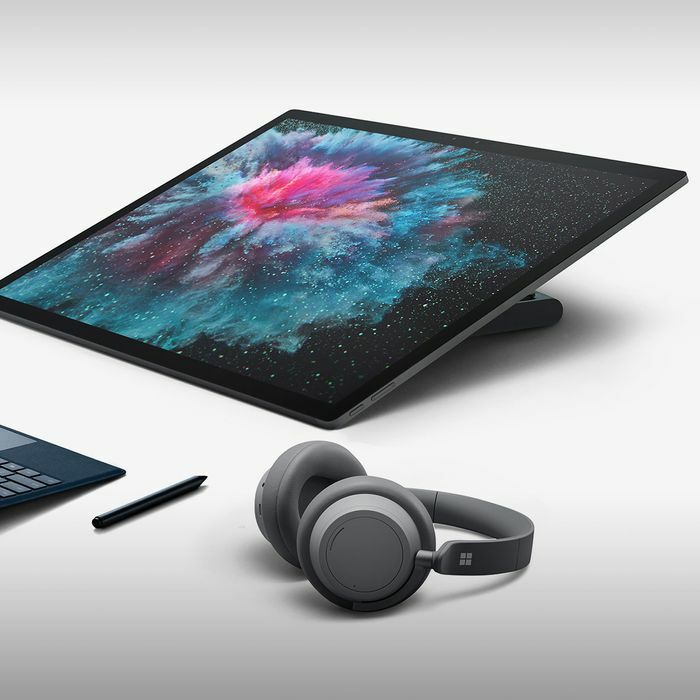 Microsoft rolled out updates to both its Surface Pro and Surface Laptop line yesterday, and the new Surface Pro 6, at $899, will likely continue to be my go-to recommendation. The one letdown: Both the Surface Pro 6 and Surface Laptop 2 continue to use Microsoft’s Surface Connect charger and mini DisplayPort instead of making the leap into using USB-C, the way that you’re likely charging your phone if you’re on Android, and the way you’ll charge the majority of your devices in the very near future. There are arguments to be made for the Surface Connect charger — it’s magnetic, meaning that it’ll yank out easily if you trip over a cord — but the mini DisplayPort should have been killed off a few cycles ago, and seeing it appear here is frustrating. Microsoft also rolled out an update to the Surface Studio, its easel-like computer meant for graphic design. Starting at $3,499, it’s a beautiful but niche product, but it got a much-needed boost to its internal specs, vital for anyone doing intensive graphical work. And it debuted its Surface headphones, noise-canceling cans with Cortana and some smart AI stuff built in that will go on sale for $349. They sounded nice — the ability to turn the noise-cancellation on and off by turning a knob on the left headphone is a smart touch — but I’m not sure I’m giving up my Sennheisers for Surface headphones. So what does all this add up to? Microsoft knows it’s not hip. “Apple stands for cool. Google stands for search. Microsoft stands for empowerment,” says Chris Capossela, chief marketing officer at Microsoft. “Empowerment” has been thrown around a lot by Microsoft in recent years, a way of saying that Microsoft products are about getting work done, while its competitors are about goofing off or attracting your attention in order to sell it to advertisers. This can all seem a little fuzzy, but it does lead to some genuine “Oh, wow” moments in practice. In a hands-on demo, I watched someone with a Surface pen doodle out thoughts in handwriting on a Surface Pro screen, and then quickly turn those handwritten notes into a very professional and put-together PowerPoint. If that doesn’t sound all that mind-blowing, you haven’t spent hours wrestling with PowerPoint trying to render what you could draw on a napkin in two minutes. 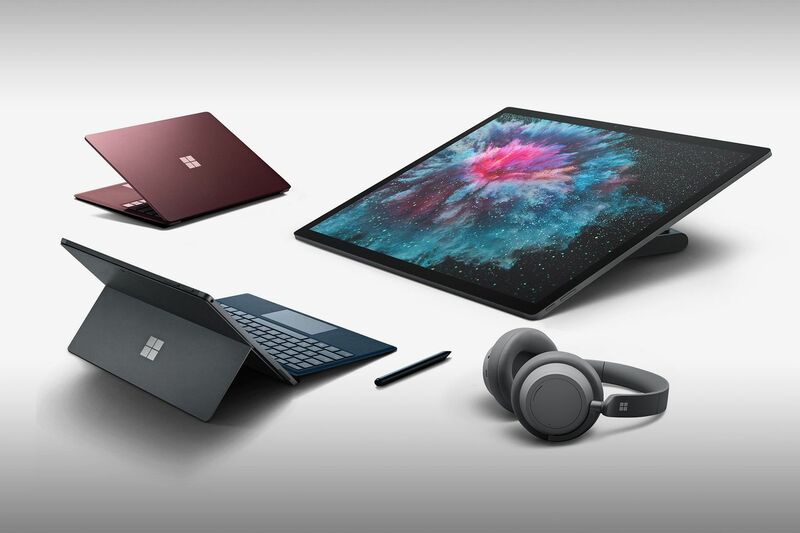 At its best, the Surface lineup — and, more broadly, Microsoft’s consumer hardware and software ambitions in the past four years — create a seamless way for you to get work done, and the more I wrestle with my aging MacBook and try to figure out what laptop I’ll buy next, it’s a vision that I’m finding increasingly compelling. “We’re focusing far more on our fans,” said Microsoft’s Capossela. Microsoft’s event, he said, was focused on its “core fanbase.” In 2012, the idea that there would be a “core fanbase” of Microsoft’s hardware beyond the Xbox would have been laughable. In 2018, I’m mildly surprised to say that I may be one of them.